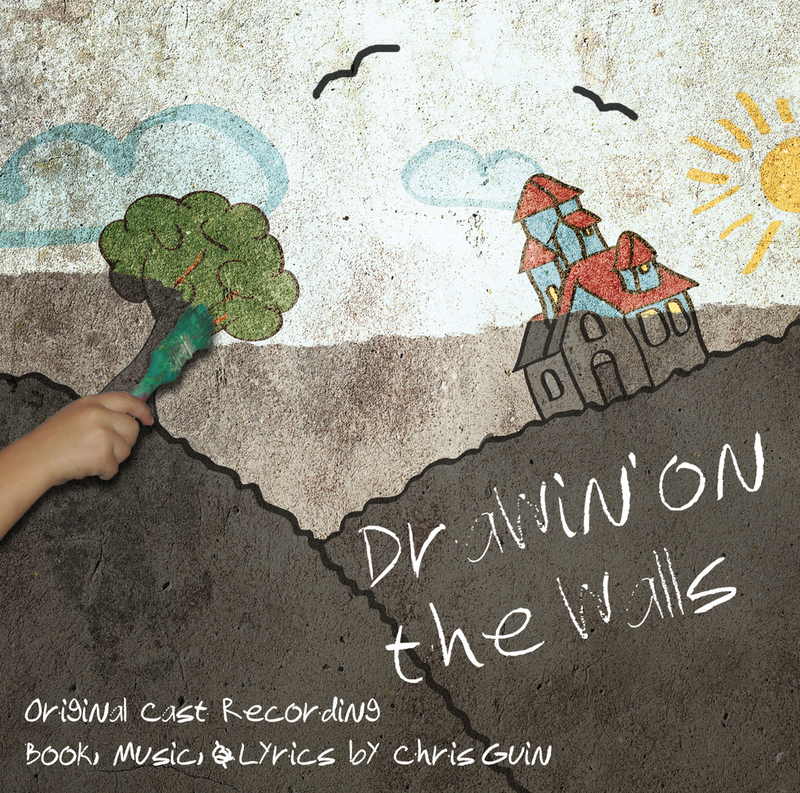 Drawin' on the Walls is a new four-person musical by Chris Guin, produced by the F.U.D.G.E. Theatre Company Apr 26-May 4 2013 at Boston Playwrights' Theatre. Drawin' on the Walls is available for production. Contact Chris Guin at imaginer01@gmail.com for details and materials. 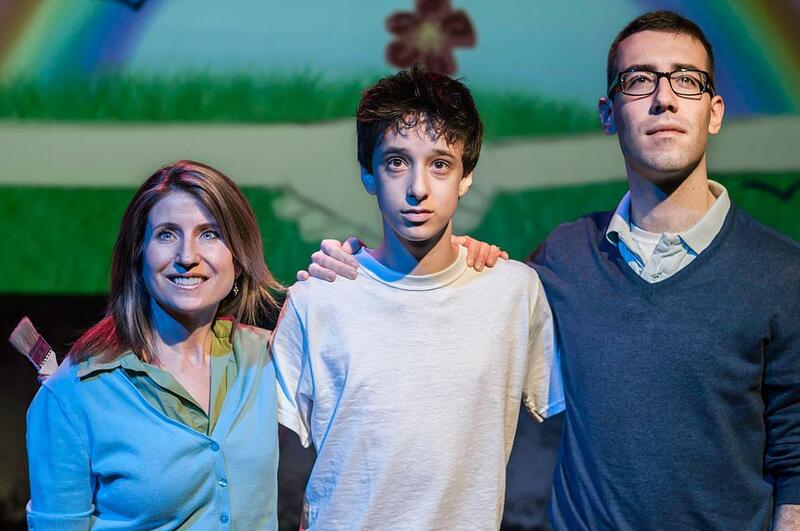 Congratulations to Isaac Haber and Ceci Cipullo for their IRNE 2013 nominations for Most Promising Child Performer in Drawin' on the Walls! Drawin' on the Walls is the winner of the 4th Annual Vittum Prize! The cast recording from the 2013 production is now available! You can download a ZIP of all the mp3s here! A young boy has isolated himself in a world of his own making - whatever he paints on the walls comes to life. When a girl from reality happens to come across his world, she decides that there's something dark at the bottom of his isolation and neuroticism and decides to do what she can to help - befriend him in order to "fix" him. Check out these photos from the 2013 F.U.D.G.E. 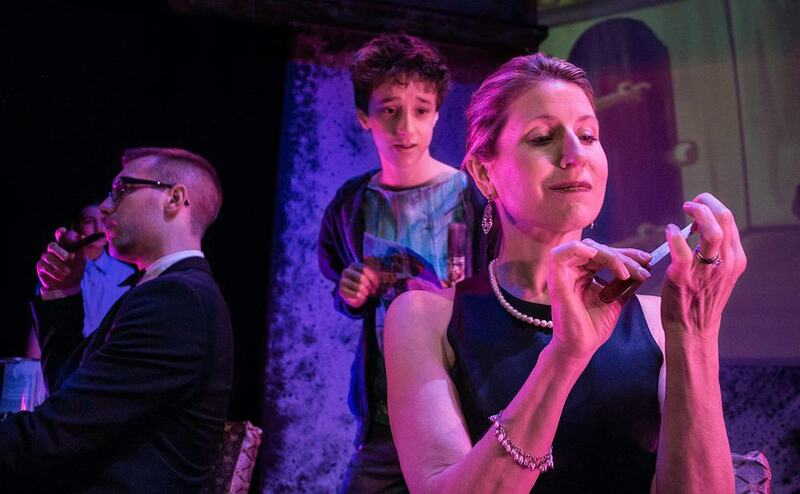 Theatre production, taken by Ross Brown (Isaac Haber as BOY, Ceci Cipullo as GIRL, Catherine Lee Christie as WOMAN, and Andrew Cromatrie as MAN).